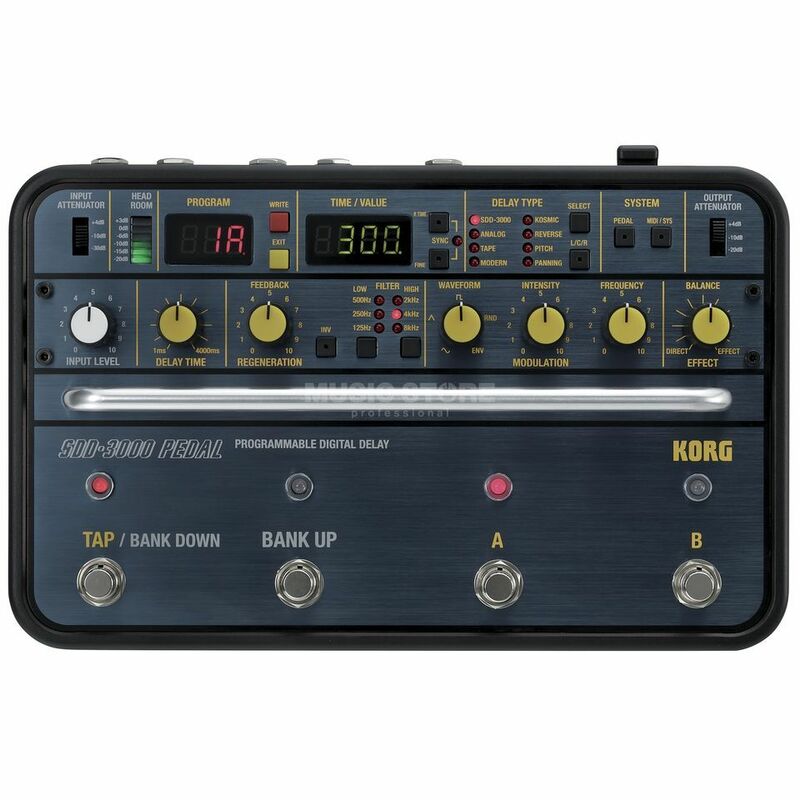 The Korg SDD-3000 Digital Delay Pedal is a reissue of the SDD-3000 Rack Unit in a board friendly pedal format. The legendary 80’s rack unit blew us all away with first-class and extensive echo sounds and now you can have it at your feet. With a total of 8x different delay types and delay times of between one and 4000 milliseconds and all adjustable via either the corresponding knob or the Tap Tempo function, the pedal delivers outstanding performance with everything from crisp slap-back echo to dreamy ambient sounds. Additional options include the filter circuit with customizable high and low cuts, as well as the integrated modulation effects with selectable LFO Waveform, Frequency and Intensity controls. Up to 80x pre-sets can be easily stored and recalled and the Korg SDD-3000 pedal even features the original pre-amp circuitry that brings even the most tired instrument back to life.